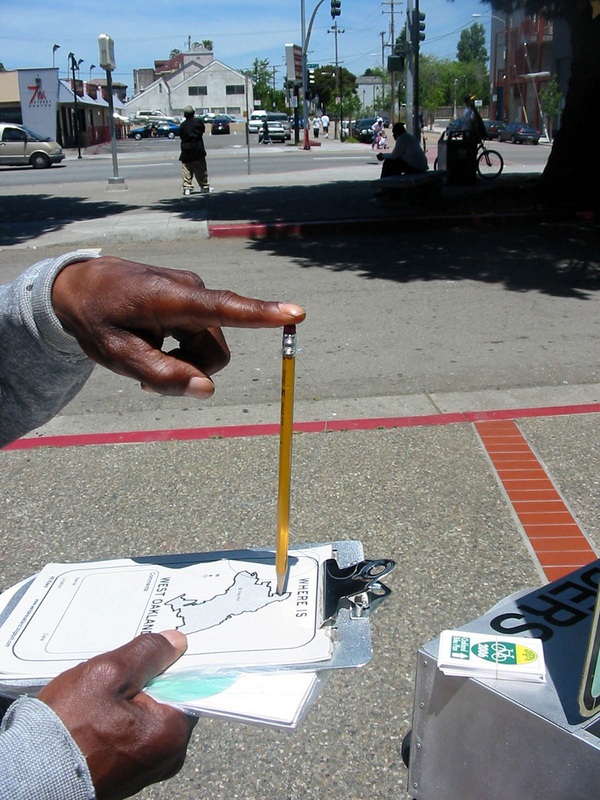 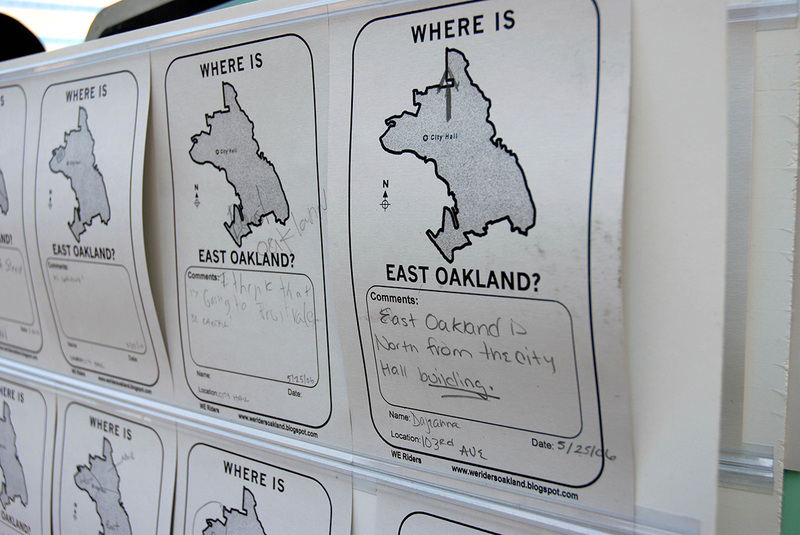 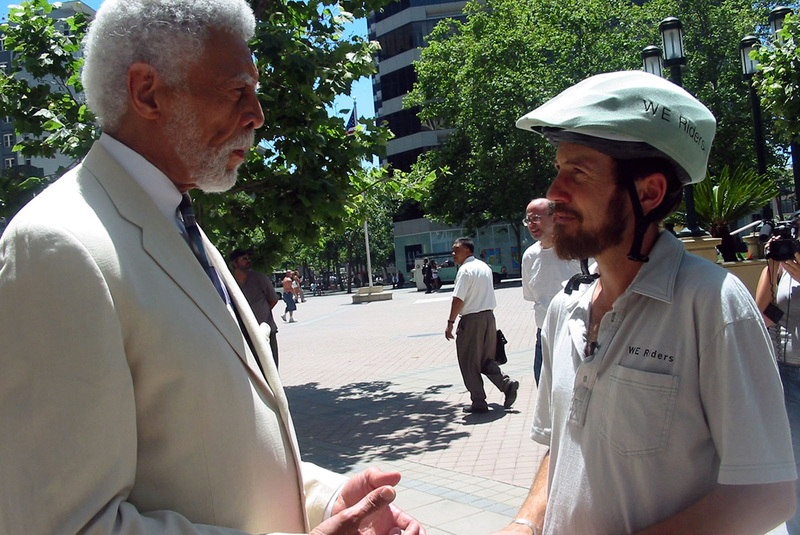 WE Riders creatively explored the geographic and cultural definitions of West & East Oakland, CA by addressing the questions and confusions that many Oakland residents have about their city. 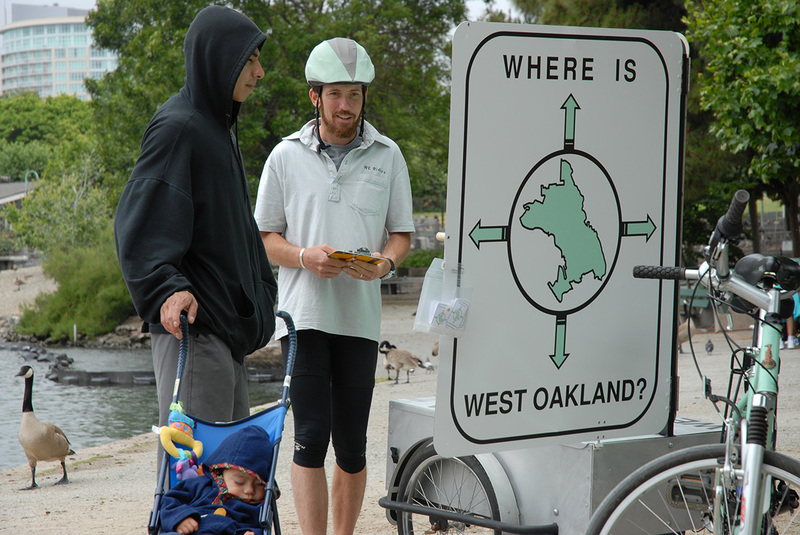 While West and East Oakland are often the subject of local conversations, news stories and political campaigns, these specific regions are not delineated on any Oakland map. 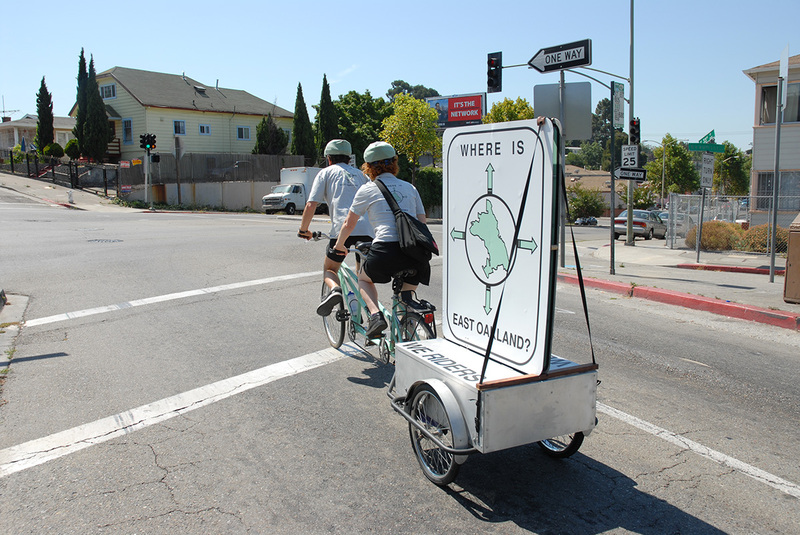 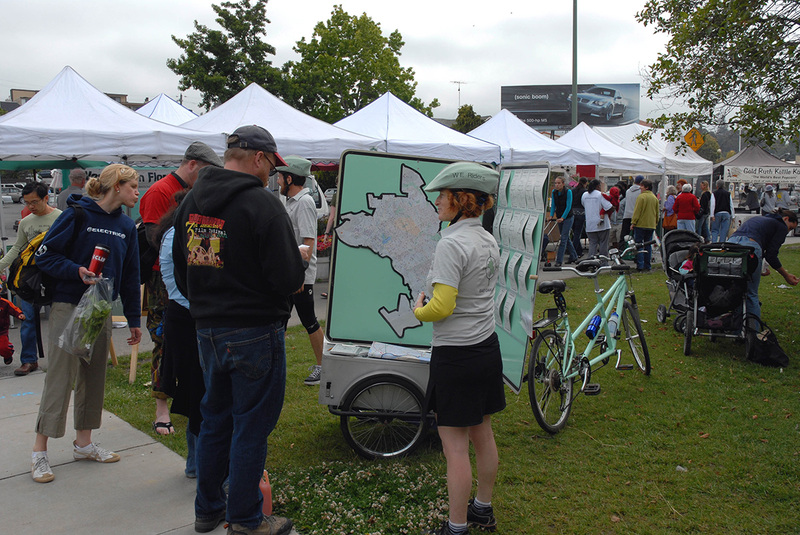 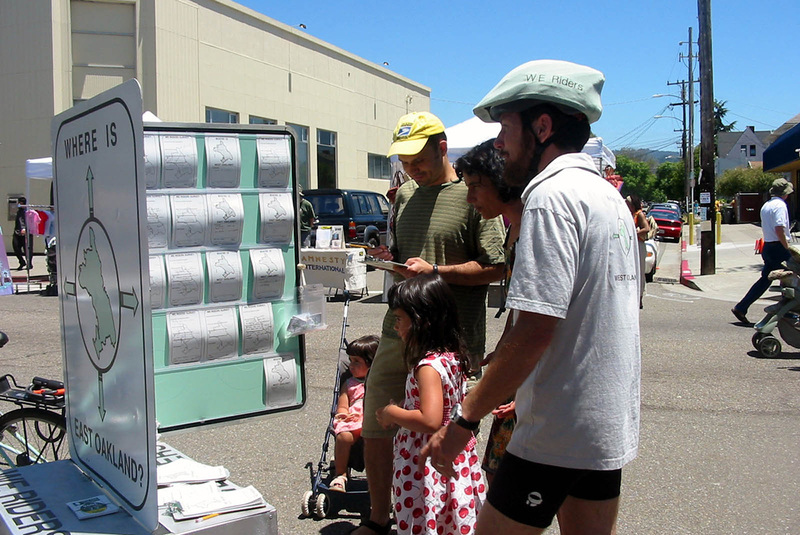 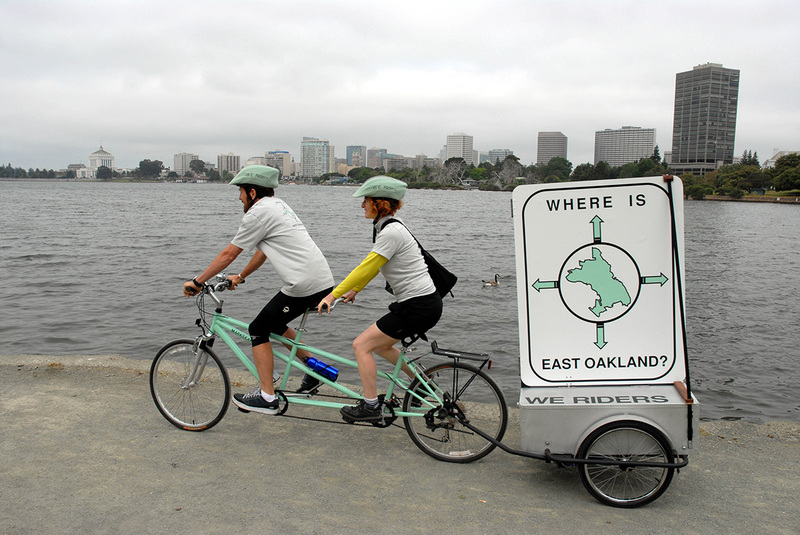 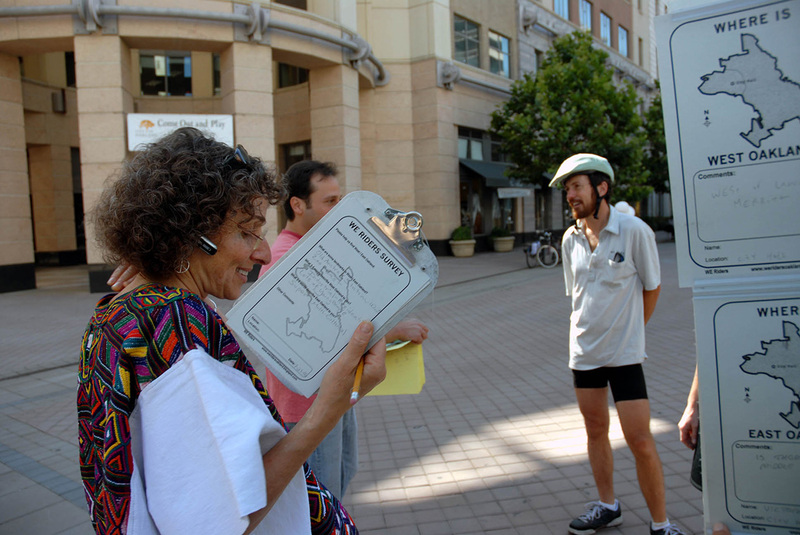 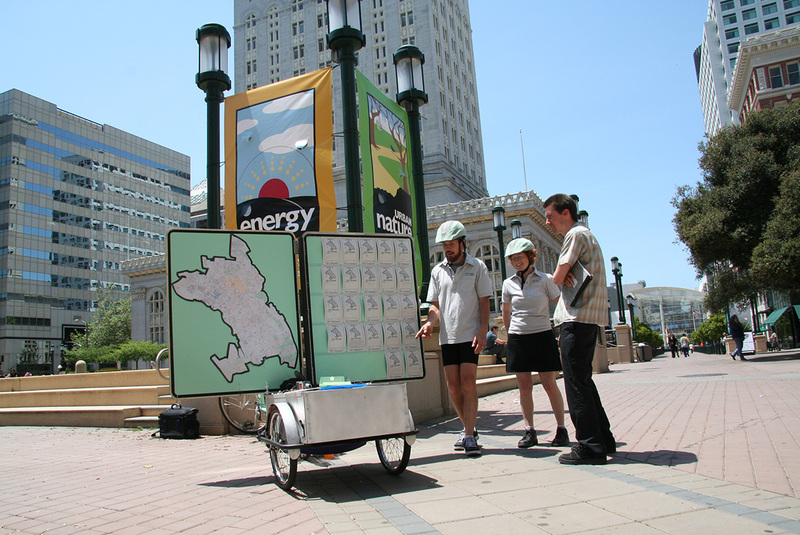 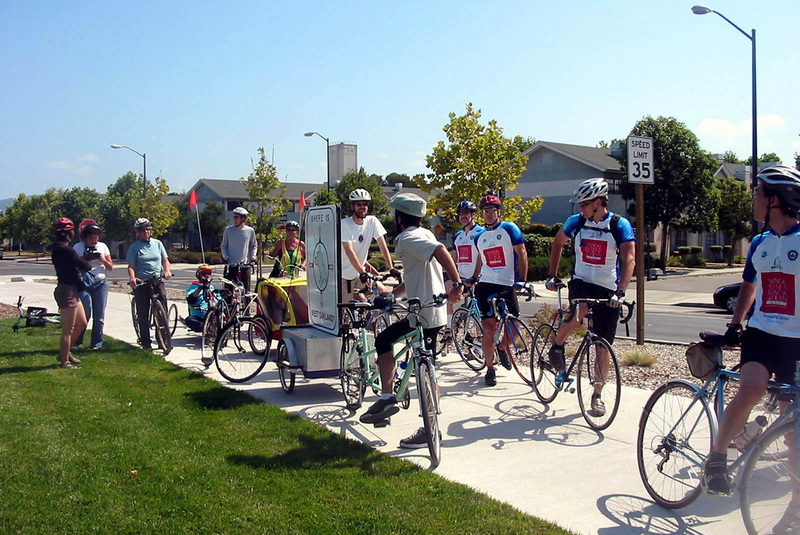 WE Riders traveled via tandem bike around the city, collecting and displaying stories and images on a traveling kiosk made from re-purposed street signs.